Cameron Dueck is a writer, adventurer and filmmaker. 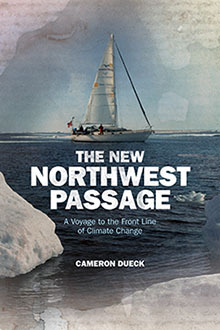 His first book, iPad app and documentary film, The New Northwest Passage, tell the story of his voyage through the Canadian Arctic as the captain of his own sailing yacht. His second book, about Mennonite culture in the Americas, researched during an 8-month, 45,000km, 19-country motorcycle journey across two continents, will be released in Spring 2020. Follow Cameron on Twitter or read his blog to learn more about his adventures. — Herb McCormick, Senior Editor, Cruising World.